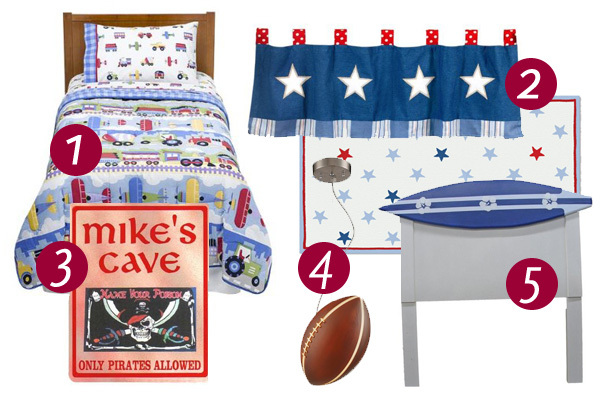 Are you looking for decorating ideas for a boy’s room? Pirates, dinosaurs and trains, oh my! A room can say a lot about a person. And for kids, expressing their personalities by decorating their rooms is a great way to show independence and define who they are. That’s why it’s important to let your son play a role in decorating his space. Ask for his input on paint colors, or his top three choices for overall themes. 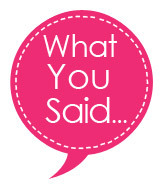 Help him understand what’s within your budget, but after you’ve set the ground rules, let his imagination run wild! Check out these top trends and decoration ideas to give your son his dream room! Whether it’s planes, trains or cars, transportation is trendy for boys right now! For a car-themed room, pick up traffic-inspired bedding to set the tone. Other fabrics don’t need to match; mix stripes and patterns instead. For the walls, try a color scheme of orange, yellow and green. Add a cool chalkboard border around the room to look like a road. Make the room more versatile by using chalkboard paint on the border and other furniture. You can’t go wrong with a classic. The tried-and-true color combo of red, white and blue is always a favorite for boys’ rooms. Start with a white backdrop, then play with bold color on the curtains and bedding. Add a striped fabric headboard to pull it all together. The great thing about this room is that it can grow with your child. By mixing in new area rugs, canvas paintings and small pieces of furniture, this room will stand the test of time. Patriotism never goes out of style! Talk about bringing your dreams to life! Designers and artists are creating amazing and unique “living fantasy” rooms for children. Let your child use his imagination to figure out the room of his dreams. From beds in pirate ships to outer space to 3D effects, there’s no limit to how far designers will go to give your child his dream room. If a 3D living experience isn’t in your budget, don’t fret. Opt for canvas paintings that you can move or replace easily, or try hand-painted wall murals and decals that you can peel off your child’s wall when he’s ready for a new look. Lighting fixtures tend to be rather boring and practical. That’s where cool themed pendant lights come into play! Why not continue the room’s theme all the way up to the ceiling? For youngsters, opt for a train pendant, or, for boys of all ages, select his sport of choice and inspire dreams. An ocean-inspired habitat is a relaxing, mellow option for tweens and teens. Start with cool and casual bedding in stripes and neutral solids, then add a brightly colored surfboard in the corner of the room. Choose fabrics in blues and greens to stick with the calming nature of the room. Let your son mix in trendy embellishments (such as skulls) to give the room a little edge. Anything goes when it comes to California cool! Tell us: Does your child’s bedroom have a theme?